Helpmonks works with forwarding emails, here you can find the instructions on how to do it using GoDaddy Workspace. There are two available account types, these are the Regular Email and the Forwarding Email account. So, depending on your account, please refer to the information below for instructions. Regular Email account enables you to send, receive, and access your email from a webmail. While the Forwarding Email account has no inbox and there will be no emails to be stored in it. 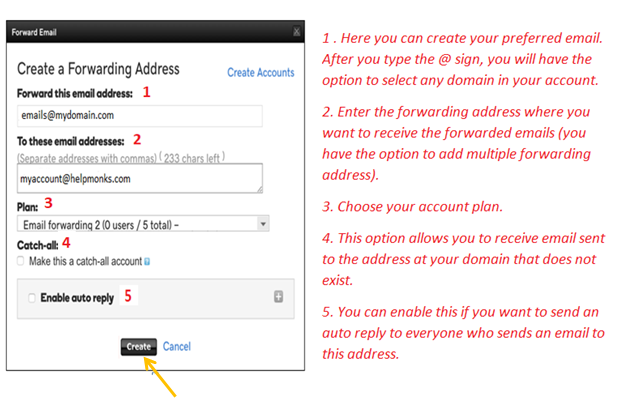 Forwarding email account only redirect messages sent to your specified forwarding address. 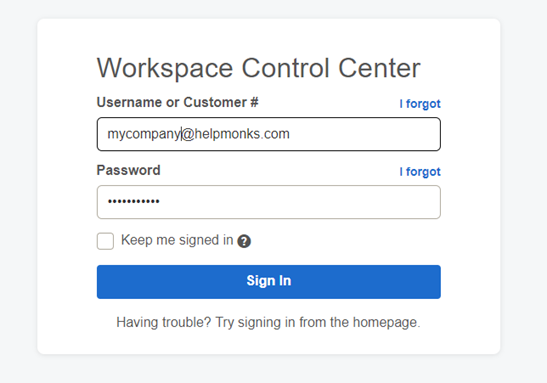 Log in to your Workspace Control Center with your username and password. Then select the View Email tab. On the email list, click the Expand icon next to the email address. Make sure that the Email tab is selected then select Send copy to and add the Helpmonks forwarding address. Once done, click Save button and send a test email to check. Once the email arrives, your team is now all set to handle emails in Helpmonks. To start, log in to your GoDaddy account. Click My Products and scroll to Additional Product Section then click on the expand icon. 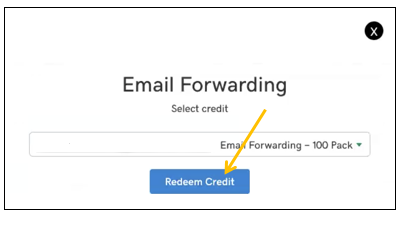 Click Redeem next to Email Forwarding. Once done, go to the Workspace Email section and click the highlighted Manage All link to open the Control Center. In the Workspace Control Center, click Create. Add the details on the following fields and click Create once done. 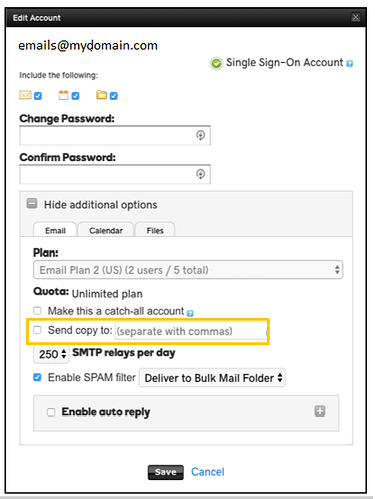 Make sure that MX records match your domain to be able to create a forwarding email account. Then send a test email to check, once the email arrives, your team is now all set to handle emails in Helpmonks.